No Potions or Flasks used. No Elixirs (except those that count as elixirs for quests). No Vanilla, TBC, Wrath, Cataclysm, or Pandaria dungeons or raids completed. No Battlegrounds or Arenas allowed. No Secondary Professions allowed EXCEPT FIRST AID. No Talents, Specs or Glyphs allowed. No more than 9 pet battles. No gear higher than White quality. No food or other external buffs are allowed. Class abilities, racials and personal buffs (eg. Kings if you’re a Paladin) are okay! The heirloom mount *should not* be used before level 20, since your character wouldn’t normally have access to riding if they were a brand new character on a new battle.net account. General rule of thumb: Play your character like it’s the only one you have on your account. Don’t use your account-related bosts like the Water Strider mounts or anything else you wouldn’t already have on a single character for the account. Receiving anything from another character is against the spirit of the challenge: no gold, gear, bags, etc. Play with what you have been given for your lone character. We’ve cut out a few of the rules (the no guild one mainly) but other than that, Yotaan and I are going to be sticking as close as we can to the Challenge. Both of us will be leveling, but not together in order to better follow the challenge. And yes, it will be a race to see who can get the highest without dying! We’ve decided to roll hordies but we are letting you guys choose the classes. Come pick our poison! Fussypants: Wait wait wait, you can’t just pick everything about my toon! Knowing some readers, I’d be playing a male orc warlock before I knew it! 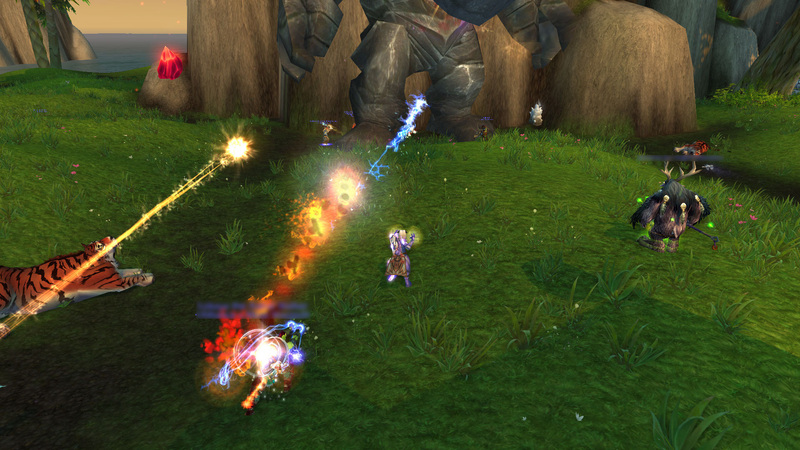 I plan on leveling a goblin (because when I eventually do die, the death animation will be totally worth it). However, you guys can vote on the class! I did remove the classes I already play because where’s the fun in that? Bonus points if you can come up with a goblin inspired name ending with ‘pants’! Yotaan: I have always wanted to try this. Of course, I’m eager to show that this old man can outplay the young whipper snapper ‘pants!! The best part is, of course, that we are playing Horde! FOR THE HORDE!!!! Voting will end in about a week, so stay tuned! 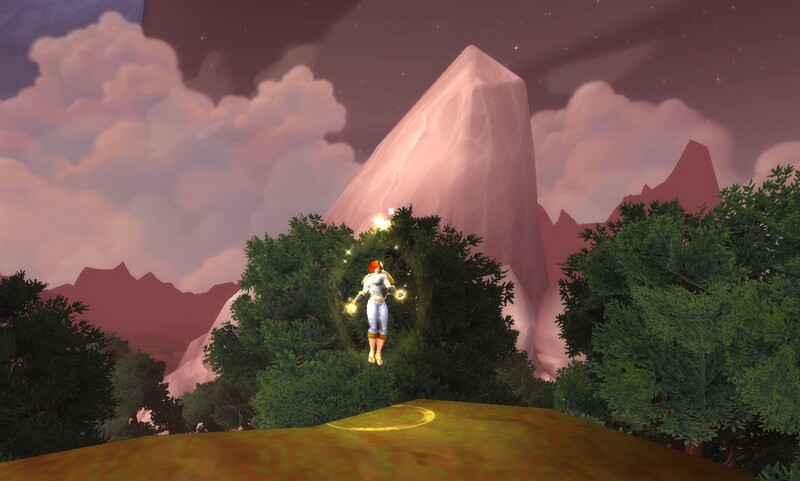 Patch 6.2.2 has dropped and flying is now available to those who wish to fly. Fussypants and I have debated the merits of flying for several months, but I did not join the commentary since opinions were very strong. Looking forward to Legion, it appears that we will be grounded again until we complete a series of quests, grinding, stories, or something. One of Yotaan’s goals for this end of expansion doldrums was to grind out the necessary parts to provide flying for the rest of our toons. That way Fussypants did not have to worry about it and she could enjoy raiding and guild leading For me, I like to have a finite goal to achieve, and this worked well. Yotaan had already completed the daily quests, and finding 100 treasures was actually fun. Getting revered for the 2 needed factions was not too much of a challenge either and it was completed just prior to the patch dropping. And it doesn’t matter, except when in the garrison, you can get to the shipyard faster. Which is the point of this whole debacle. Flying really isn’t that important. We went the majority of the expansion without it and I really didn’t miss it. Certainly, I saw way more of the landscape up close and personal and, more importantly, I encountered more danger directly. 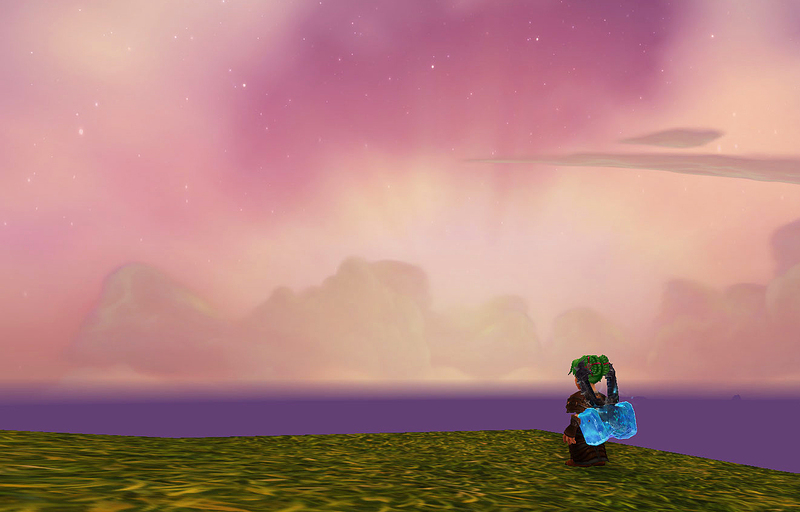 Going to Nagrand for the first time was a challenge, because I was afraid to pull those big elites on the northwest portion. I had to be cautious. It made it more a more immersive experience. Being grounded was more fun. Now, Yotaan can go anywhere without a worry. He can just fly right over that big threat. However, at this point in the expansion, that doesn’t matter anyway. Yotaan is endgame geared (not as much as Fussypants, but enough) and there really aren’t big threats anymore. Flying now is simply a time saver, nothing more than a convenience. We don’t care about the pack of mobs in the way at the endgame. Before flying Yotaan would simply barrel thorough on the ground and most of the time they would be chasing him. That’s not much different than flying over. One could argue that a lot of time is saved flying, but that is typically not the case since there are flight points everywhere for the taxi’s. Even with flying being faster, it really is only a marginal change from traveling by ground or flight points. Back in Wrath, you had to jump thorough some hoops to get cold weather flying. It was not something you got at the initial portion of the expansion, it was later as your character developed. Further back in BC, flying was introduced and it was very difficult to accomplish. In Mists, you did not get flying immediately either. Only in Cata did you have flying right away. 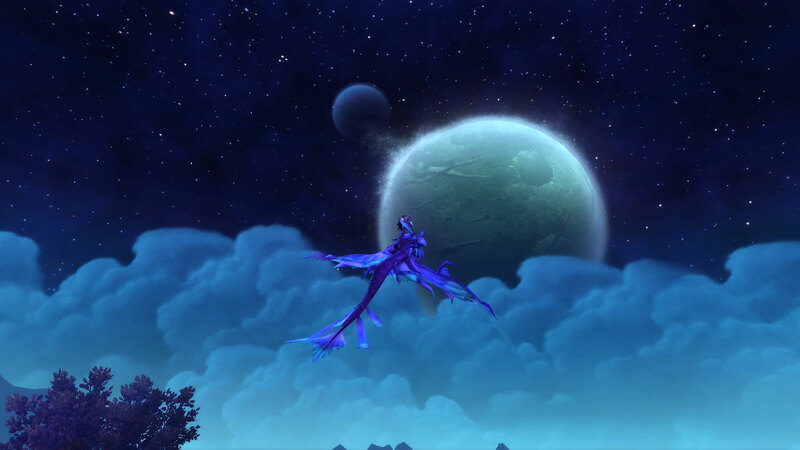 This pattern of flying at the end of the expansion make sense to me and I am glad they are doing it in Warlords. It’s a nice little carrot to entice you to play for more. And, you don’t even have to do it. So I am over flying in Warlords. Blizzard has set the initial experience to ground Yotaan and Fussypants in the beginning of an expansion, and that is just fine. This article was written entirely by Yotaan.